Rated 9th Best Public Golf Course in Pennsylvania by PGA.com and selected in 2010-12 as Erie's Choice Award Winner by readers of the Erie Times News. Features chiseled fairways, 50 bunkers and creatively shaped greens. 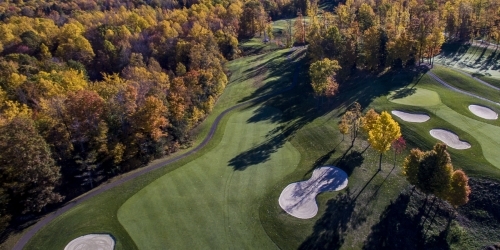 Play your best golf while experiencing tall trees, streams, waterfalls, and the rolling terrain of Western PA.
Whispering Woods Golf Club reserves the right to change price and offer at anytime. Prices and offer are subject to change without notice. PennsylvaniaGolfer.com is not responsible for errors posted in this golf package.